Optimus reacted to Amendoa's post in the thread Tutorial [IMPORTANTE] Como não ser roubado!. Optimus reacted to nejilgnear's post in the thread ideia para melhorar o fórum. Optimus reacted to Gui_ODemais's post in the thread NOTÍCIA Atualizações Do Fórum. Optimus reacted to yAnnah_'s post in the thread NOVIDADE! •➤ Reações novas no fórum..
Optimus reacted to Johann's post in the thread Ideias úteis para a network/discord. Optimus reacted to uPepoo's post in the thread Informação Novas Regras do Grupo do Discord! 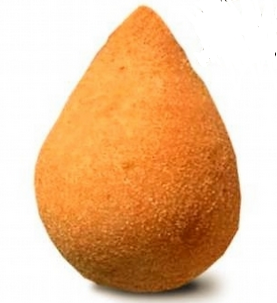 (Coxinhas do Optimus). Optimus reacted to LuckSword's post in the thread Tutorial Tutorial FullPvP..
Optimus reacted to Amandinha001's post in the thread Informação ◄••Remoção do /lojinha••►. Optimus reacted to zDeathz_'s post in the thread Tutorial Como falar colorido no chat!. Optimus reacted to CarolGirl's post in the thread TO PUTO PORRA STAFF IMCOMEPTENTE LIXO. Optimus reacted to J4kethed0g's post in the thread EVENTO RANKUP. Optimus reacted to AbbyFat's post in the thread Informação Dicas/Requisitos de como se tornar um staff..
Optimus reacted to Joh's post in the thread NOVIDADE! Evento Ilha do Mês! (Ilha Ácida) - Abril. Optimus reacted to Pimentadoo's post in the thread [Apresentação] Pimentadoo. Olá, eu sou o Pimentadoo, mais conhecido como Silva, tenho 17 anos, sou Português e sou de Leiria. Optimus reacted to LuckSword's post in the thread NOVIDADE! Nova Mina BedRock!!!. Optimus reacted to SkyBuilder_Br's status. Optimus reacted to Eduardgw's post on Optimus's profile.